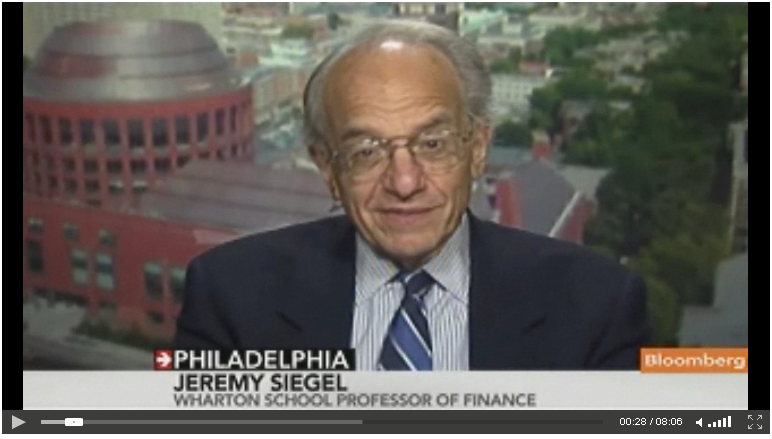 Author and Wharton Professor Jeremy Siegel says that the European Central Bank should provide the liquidity needed to help the debt crisis in Europe, and that such a plan doesn’t need to involve a full bailout of Greece. Siegel says it could involve a multi-trillion-euro “backstop” of debt guarantees, and says that such a move could spur European stocks to jump 15% to 20% in a single day. Siegel also says that because consumers are deleveraging, the U.S. needs to wait a bit before it starts austerity programs designed to clamp down on public sector leverage, as public and private deleveraging would be too much of a strain on the economy.